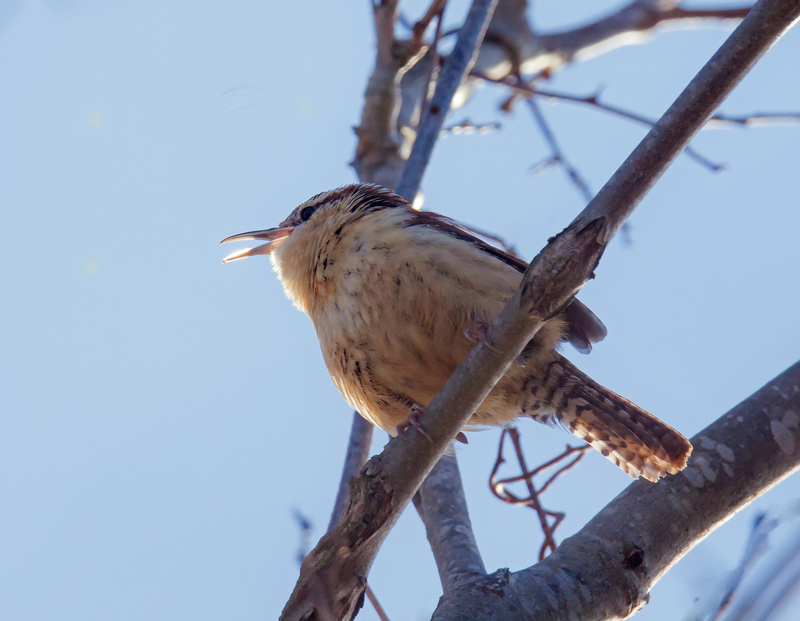 Carolina Wrens (Thryothorus ludovicianus) are small birds that often remain hidden, but their loud songs let you know when they are near. I caught a glimpse of this one from an unusual angle last week at Occoquan Bay National Wildlife Refuge. Ours have become residents! Love it!